Reasons for outsourcing SEO tasks may vary, but they generally come down to the financial benefits of using this option. At the same time, you may consider SEO campaigns time consuming or not exciting enough to warrant establishing your in-house SEO team. For smaller or mid-size businesses, outsourcing SEO means having more time to dedicate to other tasks that require more of a hands-on approach from the managerial side. In this case, the outcome of SEO outsourcing will largely depend on the quality of your business partner which, in turn, depends on how you balance between trust and control in this type of cooperation. Take five minutes to discover how you can do both with style and make your SEO campaigns live long and prosper. Which SEO Aspects Need To Be Outsourced? For some 60% of marketers, outsourcing SEO is an increasingly attractive prospect for handling this important segment of your overall marketing effort. This is particularly true for some specific areas of SEO that most consider as more suitable for outsourcing, such as citation cleanup/building, content creation or link building. For SMEs and sales-oriented businesses, outsourcing these tasks means freeing up enough time to focus on day-to-day business running. However, this decision does come together with several risks, chief among them is the selection of a quality external SEO agency and the manner of monitoring its activities/outcomes once a partner is selected. This is particularly important in case of outsourcing link building and content creation tasks, as these two can act as a make-it-or-break-it aspect of entire SEO campaigns. For starters, efforts such as content generation go beyond technical aspects of SEO, yet they can have a huge impact on the quality of your marketing. Therefore, your process of (re)gaining control over SEO outsourcing starts with the careful consideration of the professional track record of your potential SEO consultant. Make sure they can offer you plausible references in particular areas of SEO that you need to outsource, particularly if you want to outsource content generation. Once the cooperation has been established, you’ll need to ensure that your SEO partner has a clear picture of your brand identity and the related SEO goals. Bear in mind that outsourcing non-technical SEO tasks such as content generation means that your SEO partner will be put in charge of creating and publishing something which acts as the first “face” you present to the audience you want to win over. Thus, you’ll need to know about earlier experiences with handling audience from your specific niche and establish that it has a qualified team of writers that can submit samples of their previous work. 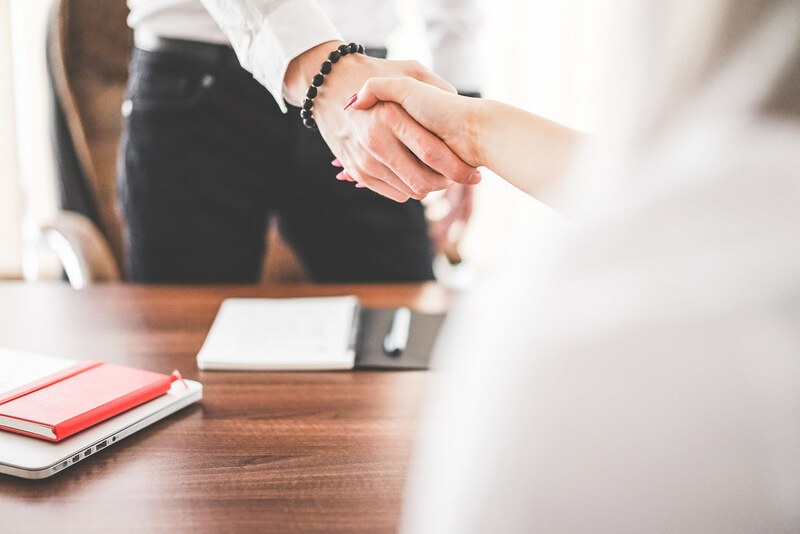 Before proceeding with long-term cooperation, you’ll need to double check that the SEO professionals you want to hire are well-acquainted with your brand. The same goes for checking if they fully understand your strategic business goals and vision. In order to effect this, you’ll have to prepare for long-term onboarding process which involves numerous live meetings and conference calls, distribution of documentation and other materials containing descriptions of your brand philosophy, business achievements and long-term objectives. Timely dedication to this segment can spare you future troubles related to the relevance of content, inefficient audience targeting and poor SEO performance. Make sure your SEO partner becomes the second most important ambassador for your brand. Once their awareness of your brand and business identity has been established, you can proceed with looking into your partner’s specific SEO strategy for your website. Having quality control over its implementation starts with transparency and focus on realistic and easily verifiable SEO goals. If you outsource particular aspects of SEO such as link building or content creation, your consultant’s strategy will have to feature a detailed portfolio of the professional techniques they will employ in order to get the job done. For the link building process, your partner will have to demonstrate the ability to give your website the ranking it deserves. This strategy will have to reflect the notion that the quality of backlinks is a highly variable category. It needs to recognize the fact that having a single high-quality backlink can pay off more than having many lower quality ones. No matter the strategy for these segments, your SEO consultant has to demonstrate an understanding that any SEO campaign they want to launch needs to start with the initial SEO review of your website. Be it a review or constant SEO optimization, your control over these proceedings starts with having your consultant inform you about the tools they use to carry out these tasks. These tools should be able to handle all aspects of the SEO business, from those used for preparing custom SEO reports and monitoring key metrics to those dedicated to keyword research and link building. In any case, your SEO partner will have to provide evidence for their proficiency and experience using these tools. Do not shy away from giving them personal recommendations about the tools you had a great experience with in the past. As you know your business best, presenting your partners with your past experience and your preferred SEO tools should be accepted as a welcome addition to your pooled SEO resources. There is one more key component of your involvement in the SEO oversight process - measuring the success of your consultant's SEO campaign. The ability to deliver results according to your cooperation agreement will have to show by noticeable improvements in your SEO performance. This can include parameters such as traffic stats, audience quality, search engine rankings, number of links that drive traffic to your website and others. All of these can be checked through the use of Google Analytics or similar platforms that allow for constant tracking of various SEO parameters. You and your SEO agency will have to arrange for organizing informative meetings on a regular basis, and these sessions will be used for performance data analysis, identification of potential weaknesses and planning for the future introduction of new measures. Outsourcing SEO can be a great solution for SMEs and commerce-oriented websites that often don’t have time and resources to dedicate to SEO to the degree that this segment deserves. Working with SEO consultants comes with its unique set of challenges. They consist of finding the best partner, checking if they understand your brand and business thoroughly, making sure that its SEO tools and strategy are in line with your overall business goals. All of these elements need to come together with your chosen SEO consultant, in addition to establishing a mutually agreed system for regular monitoring of its strategies and achievements.